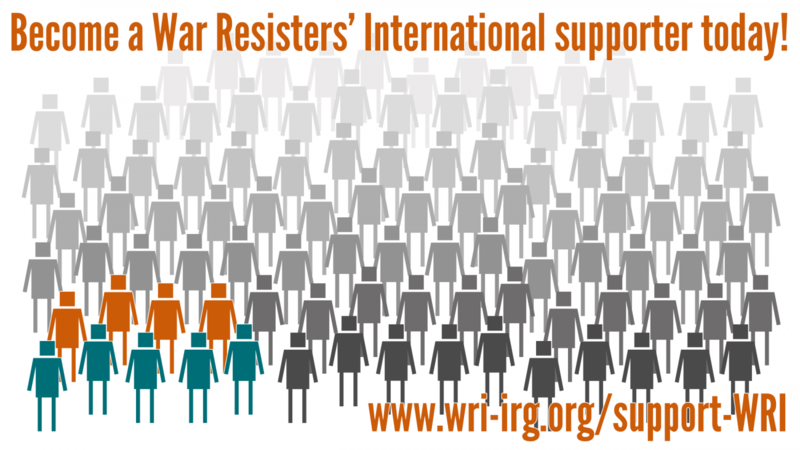 Today, a delegation organised by War Resisters' International arrived in Turkey. The group will be visiting Diyarbakir, and towns affected by the curfews and armed conflict that have been ongoing since August 2015. WRI activists, including the Chair Christine Schweitzer, will have meetings with human rights groups, peace activists, and officials in the region. Eight activists in London – including members of Vredesactie and Agir Pour La Paix – were found not guilty in April, having been arrested in September 2015 during nonviolent direct action to obstruct the world's biggest arms fair. Two new publications have been published in Catalonia, by WRI members. WRI's affiliate Centre Delas 'Militarised Minds' examines how we are educated towards accepting war and violence. Colombian conscientious objectors (COs), through Asamblea Nacional de Objetores y Objetoras de Conciencia (The National Assembly of Conscientious Objectors), have released a statement in solidarity with war refusers in Bolivia. The constitutional court has recently ruled against a CO, José Miguel Orías.